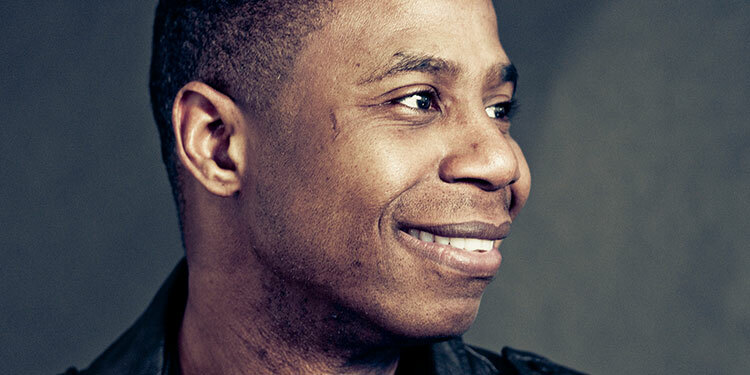 Doug E. Fresh is a Barbadian born American rapper, record producer, and beatboxer, also known as the Human Beat Box. The pioneer of 20th-century American beatboxing, Fresh is able to accurately imitate drum machines and various special effects using only his mouth, lips, gums, throat, tongue and a microphone. Although he began his recording career as a solo artist as one of the last artists on Enjoy Records and one of the first on Vintertainment Records (the same New York-based label owned by Vincent Davis that would later make a name of Hip-Hop artist Joeski Love and bring R&B “icon” Keith Sweat to ultimate fame), it was when he and a new team of DJs known as the Get Fresh Crew (Barry Bee and Chill Will) along with a newcomer named MC Ricky D (who would later achieve fame as Slick Rick) came to fledgling New Jersey-based Hip-Hop label Danya/Reality Records the following year and recorded “The Show” (which borrowed the melody of the Inspector Gadget theme by Shuki Levy), and “La Di Da Di”, a tune that was completely voiced by MC Ricky D and backed by Doug E’s beat boxing for the entire duration of the song. It was when both of these songs were released on a single (particularly 12″ single) that broke him (and Slick Rick) into stardom. Both “The Show” and “La-Di-Da-Di” are considered two of the all-time greatest early hip hop classics and, as such, make up one of the first and only Hip-Hop singles to have two hit songs on the same record. Doug E. Fresh was also interviewed in the 1986 cult documentary Big Fun In The Big Town. Unfortunately, Slick Rick would leave the group almost a year after the single was released leaving many wondering what happened to him until 1988 when he became a Def Jam artist and released his debut album, The Great Adventures of Slick Rick. Doug E. Fresh and the Get Fresh Crew soldiered on, now officially signed to Danya/Reality/Fantasy and releasing two albums from that period—Oh, My God! from 1986 (which includes the hit song “All The Way To Heaven”) and The World’s Greatest Entertainer from 1988—both of which are now long out of print and extremely rare. The main single from the album The World’s Greatest Entertainer was “Keep Risin’ To The Top” which was named after Keni Burke’s then-obscure 1981 hit “Rising To The Top”, which, thanks to being sampled in Doug E. Fresh’s song, has become Keni’s signature tune. Doug E.’s “Keep Risin’ To The Top” also samples the main chorus phrase of Heatwave’s 1976 classic “Ain’t No Half Steppin’,” which Big Daddy Kane also sampled that same year for his song of the same name. In 1992, after a four-year hiatus, Doug E. Fresh joined with MC Hammer’s label, Bust It Records and issued one album, Doin’ What I Gotta Do, which (despite some minor acclaim for his single “Bustin’ Out (On Funk)” which sampled the Rick James 1979 single “Bustin’ Out”) was a commercial failure. In 1993, Doug E. Fresh found a new home at Island Records-affiliated label Gee Street. At the time, he managed only to release one single that contained three songs—”I-ight (Alright),” which was the main song; “Bounce”; and “Freaks”. Although “I-ight” (which originated the now-famous club chant “Heyyyyyy, YO!… I-iiiiight?”) was slated to become the first major hit for Doug in 5 years, it was almost immediately overshadowed by “Freaks”, a Dancehall tune beat-boxed entirely by Doug E. and vocalized mainly by his protégé, a Brooklyn-born Jamaican teenage newcomer named Vicious. The song received major radio and club play, followed by video play when the video was finally produced a few months into 1994. The latter would soon ink a deal with Sony Music’s Epic Records for three years, although he would only release one album, Destination Brooklyn.